More than 100,000 people have fled a single county in South Sudan in just three months as civil war continues amid warnings of genocide. PALORINYA, UGANDA: More than 100,000 people have fled a single county in South Sudan in just three months as civil war continues amid warnings of genocide. The surge of more than half a million South Sudan refugees into Uganda since July has created Africa's largest refugee crisis. 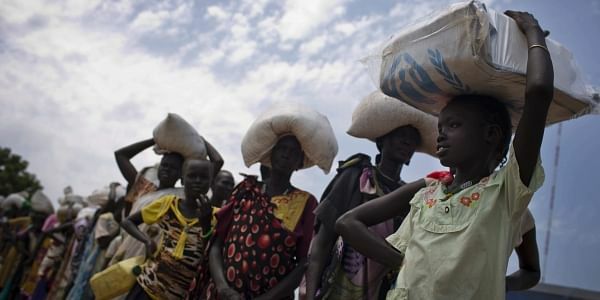 U.N. spokesman Stephane Dujarric told reporters recently that when the refugees arrive from Kajo-Keji county they report killings of civilians, sexual violence and fears of arrest and abduction as their main reasons for fleeing. Interviews with people from Kajo-Keji now living in the Palorinya refugee camp, and U.N. documents obtained by The Associated Press, describe multiple human rights violations committed by South Sudanese soldiers against civilians.